Recently I hosted #SLTchat and focused on Safeguarding. It was all a bit of a blur and so many people tweeted or contributed ideas which I didn’t want to forget. So I have collated some of your great comments. The first Question was How can DSLs make safeguarding training relevant / interesting, now that regular updates are required? ( KCSIE ). Safeguarding is the responsibility of all, no higher priority. SLT must be responsible for ensuring systems + processes are robust. Everyone knows the oxygen mask analogy right? in a plane crash oxygen/life jacket goes on adult first so that they can support others. Same with teacher wellbeing. Parents need a deep understanding and appreciation of safeguarding, especially of their own children are affected. Involve everyone in training updates including all TAs. It’s everyone’s responsibility so make sure everyone feels empowered. Our DSL does a great job of this tailoring training to roles within school including our canteen staff. In most other roles in CYP workforce staff have supervision and a chance to discuss SG matters. Sch missing a trick. 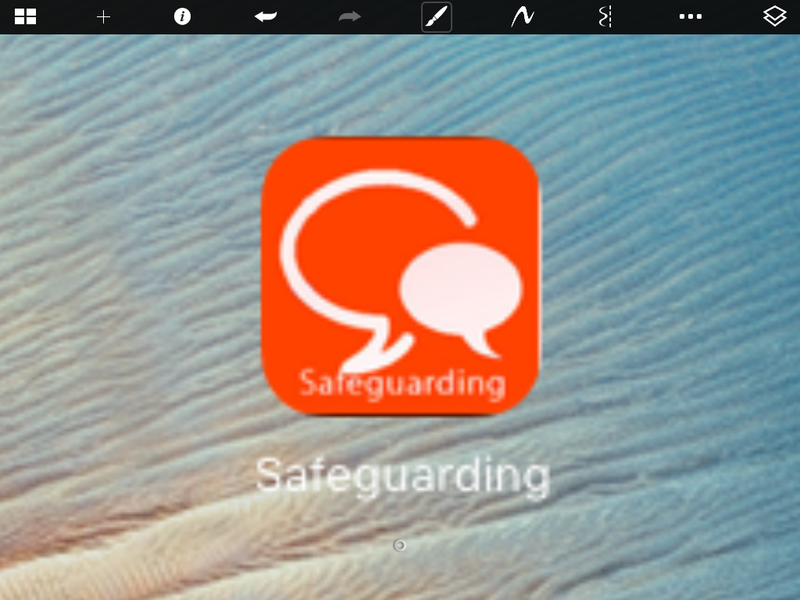 Perhaps DSL could hold de-briefs where Safeguarding staff provide support for each other. Follow ups to check progress, encourage staff and move ideas forward . Getting staff to sign proves nothing! Follow ups needed to ensure it has had impact where needed. Does that prove understanding or a tick box ex? rich discussions, debates so staff can talk through insets may have greater fx. You have to make it relevant to your school context as well as covering the national picture. The local school context is so important. It can have a sig impact on issues and how they impact sch. Provide staff with case studies during inset training. With my safe team I gave a serious case study and we discussed why this couldn’t happen in our school. Good reflection exercise. But trying to make sure that something doesn’t fall through the net because doesn’t fit the school’s context. Keeping children safe – involve children. We recently got year 6 to debate researched pros and cons of social media to parents. We use 5 minute briefings sent out by LA, then do our own too, regularly & often for all. Can see how the frequent but short might help in highlighting the importance. Diff to motivate staff to carry out tedious online training for politically motivated irrelevant hoop jumping. Using an ‘interactive’ online training module which allows you to click through to the knowledge check doesn’t mean you’ve learnt. Large posters on walls around the academy with staff pictures & safeguarding roles. We had credit card sized info that went on the back of our ID badge in one school. Always at hand. 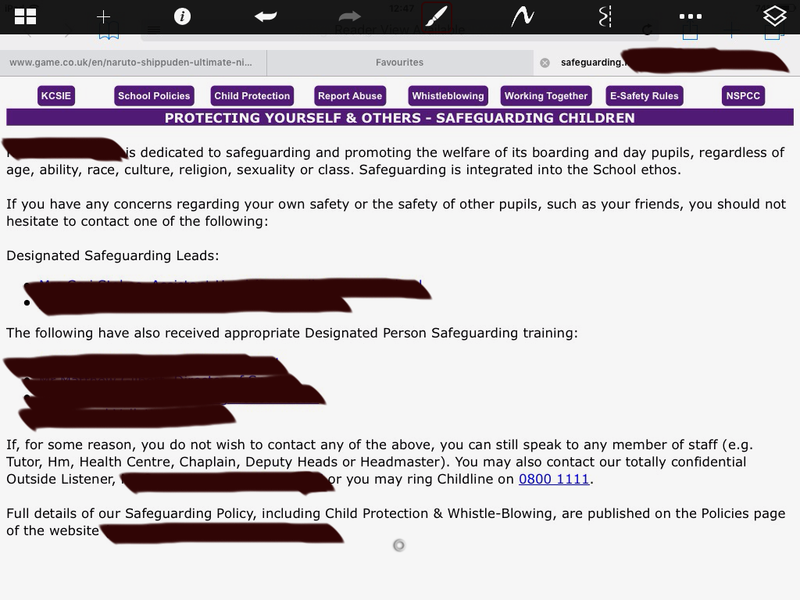 Wrote a safeguarding quiz – bit of fun – for TAs update training INSET day. Ipad app with updated info. The last point is something I do in school and a few of you asked questions about it. Its not really an app, it’s a link to websites. We have one for staff and one for pupils. It is live, so any updates by the source it will automatically update it, no worries that staff are following the old policy. I have added two screen shots to show you the staff version. You can see the links to NSPCC and Whistleblowing, so it’s not links to internal documents. Anything else you think I should be adding, please comment as I am all for improving it. It was great to connect with other DSL and thank you all for joining in. Now to read through and act on some of these great ideas.